Sonos, the world leading manufacturer of wireless speakers and whole home audio solutions, are finally launching the more colourful Sonos One speakers which were first announced back in April. Designed and created in partnership with Danish interior design firm Hay, the range of coloured speakers will be available from November 5th. 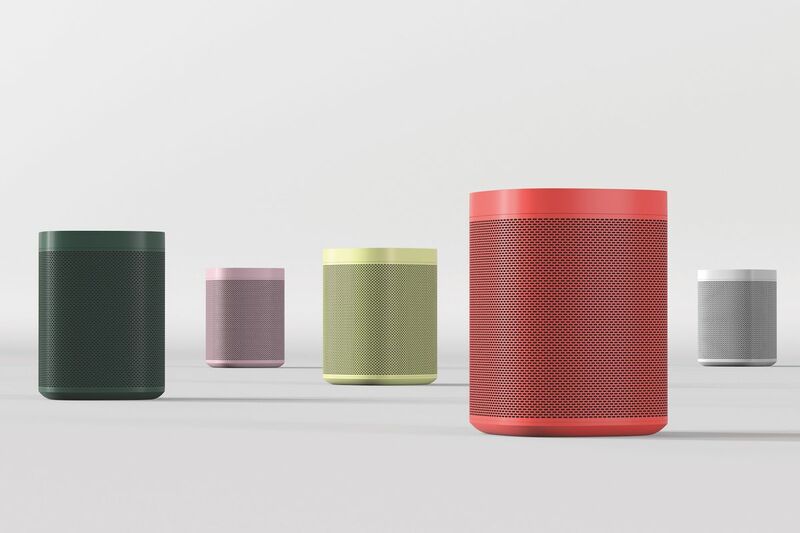 Supplementing the standard black and white Sonos One alternatives, the five new models of speakers come in Forest Green, Pale Yellow, Soft Pink, Light Grey and Vibrant Red to suit all tastes and decoration styles. In terms of their features and audio specifications the new versions of the Sonos One speaker are identical to those already on the market. The flash of more attractive, eye-catching colour, however, is expected to set buyers back around an extra £30 once the speakers hit the market. Any Sonos fan who is willing to pay that premium for a more colourful speaker will have a limited range of options when it comes to actually buying the new Sonos One. They’re set to be offered by the main Sonos website, the companies stores in New York and Berlin and Hay’s store in Copenhagen, alongside just a handful of other retailers. If you would like to discuss your requirements for Sonos audio solutions please call us on 0800 195 4825.